CSC fully supports and believes that an injury and incident free work environment are the result of a culture where safety is a core value of the decision making process of each individual. This type of culture thrives in our environment where performing tasks safely is the way we do business and not merely a requirement. CSC has a detailed HSSE Plan (Health, Safety, Security, and Environment) in place that is strictly adhered to by all employees. All Central Southern supervisors have successfully completed OSHA 30 Training. 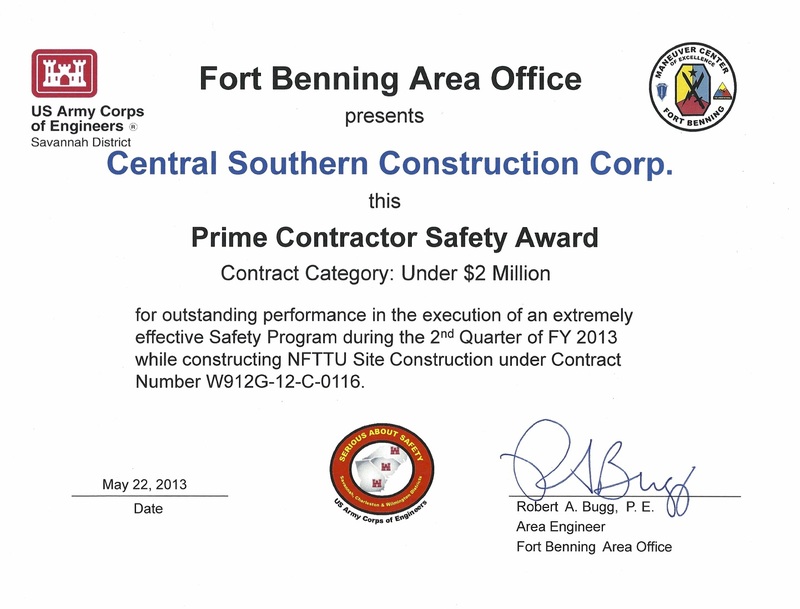 CSC recently received a Safety Award from the USACE Savannah District for outstanding performance in the execution of an extremely effective Safety Program.